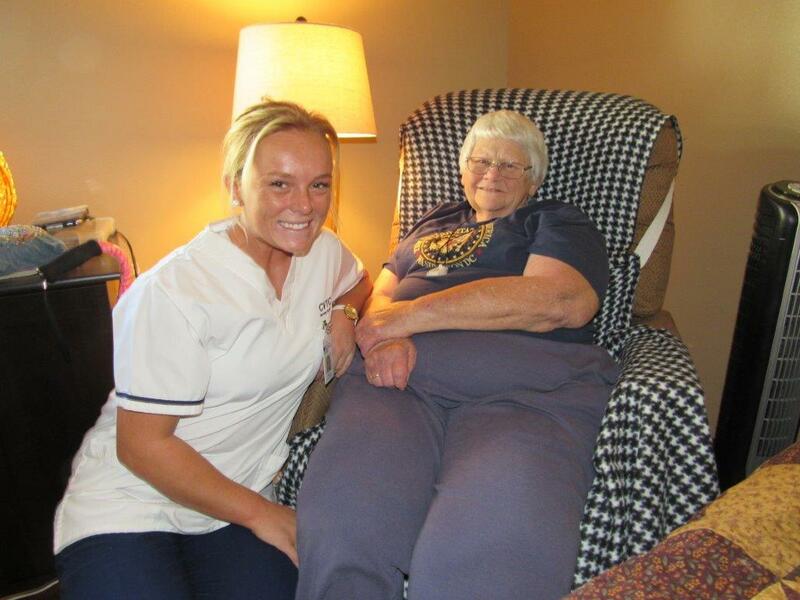 Check out the sweet visit at Augusta Health and Rehabilitation! RN Gina shared some precious moments with her son, during his short visit home, and brought him by to meet our residents and staff! Gina’s son Tyler graduated USMC Boot Camp in California in October! Gina knew it would be especially meaningful for Tyler to meet fellow veteran Marine George Stanek, who served in the 1940’s. George was happy to talk with Tyler and share stories about boot camp and his years as a Marine! 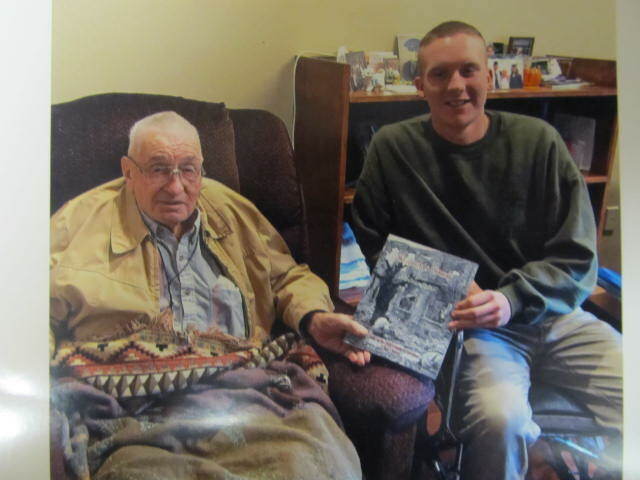 George presented Tyler with a book he wrote about his experiences serving our country. Tyler will return to California in November to continue his training! We wish him the best and thank him for his willingness to serve! 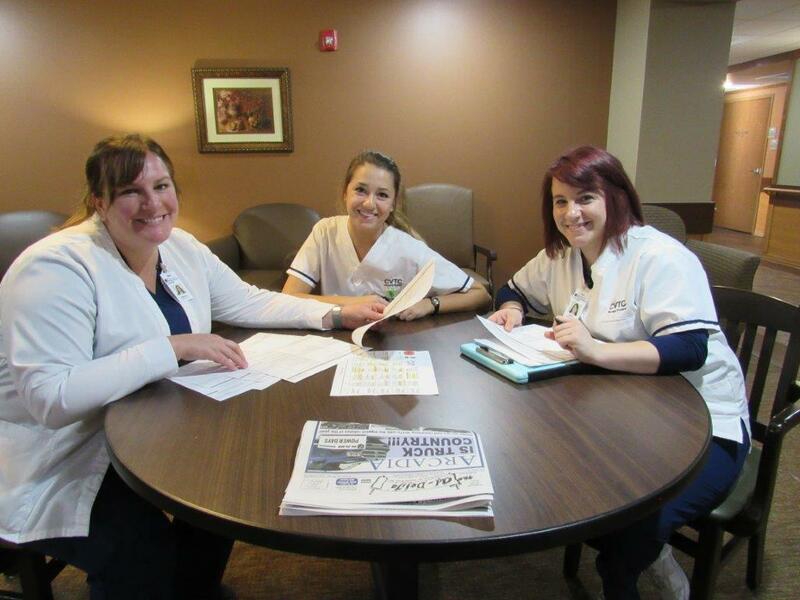 We are so proud to help train tomorrows health care workers from Chippewa Valley Technical College! Our residents love these students and we love the opportunity we provide them at Augusta Health and Rehabilitation to learn outside of the classroom! 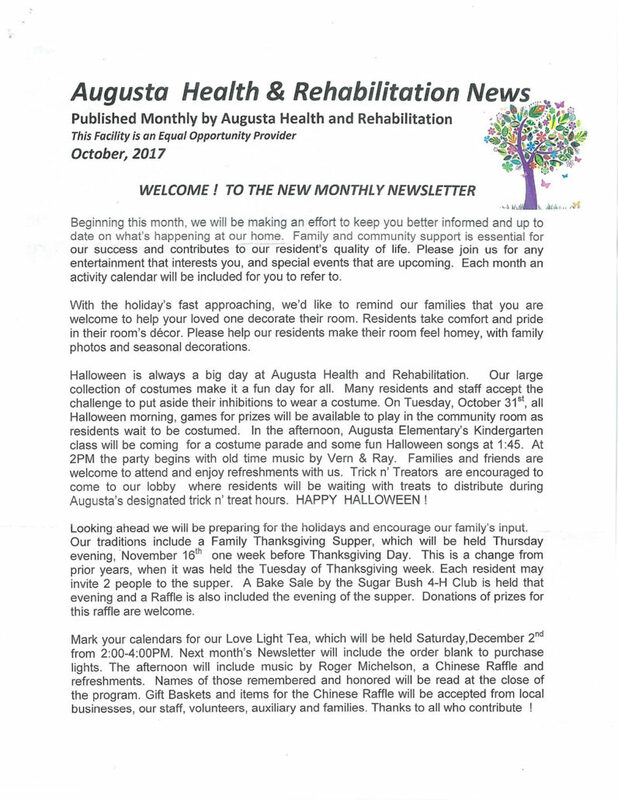 Read more about what’s happening this month at Augusta Health and Rehabilitation in our October newsletter! 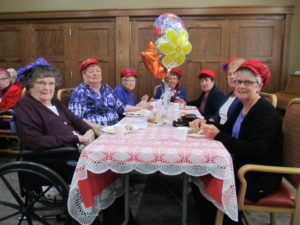 Recently, there has been many exciting events occurring at Augusta Rehab and Health. Too many not to share! Check out all of the fun we’ve been having below. 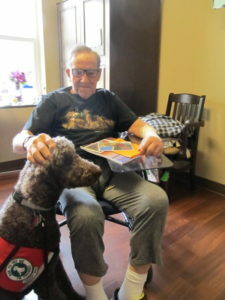 This week therapy dog, “Radar”, stopped by with owner Mary Millard and brought smiles to the faces of many residents. Radar makes weekly visits. 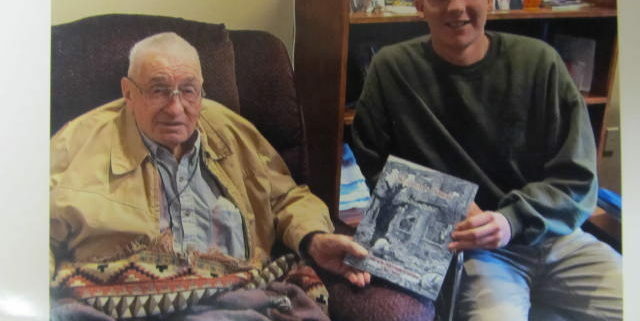 Here he is pictured with one of our residents, Don Gaede. 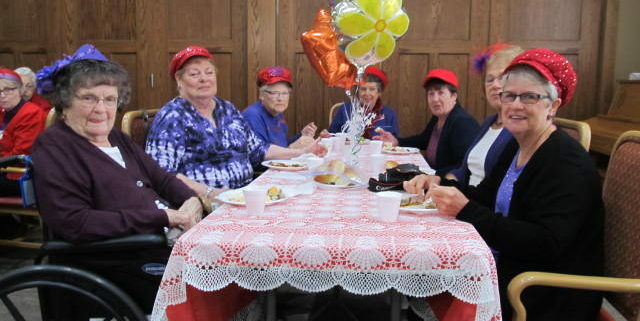 This week members celebrated a Red Hat birthday party hosted by friends of Dolores Wilkom. 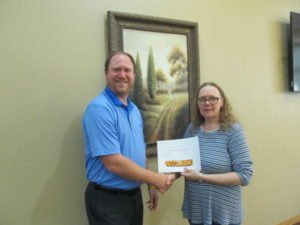 We also proudly celebrated employee of the month, CNA Dawn Messerschmidt! She was congratulated by Administrator Jahn Bradley. Way to go Dawn! We appreciate all that you do.